1 tbsp each monin syrups, have used different flavours, you can choose blue curacao, green apple, passion fruit, watermelon etc. 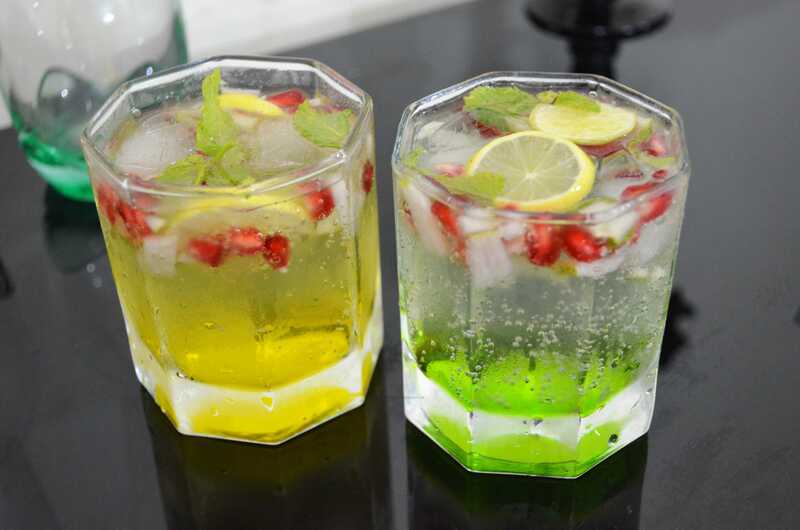 In small glasses, put around 1 tbsp monin syrup of your choice, put around 1 tbsp or 2 of chopped fruits, lemon wedges, mint leaves and 3-4 ice cubes. 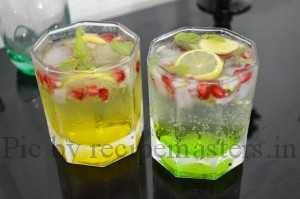 Fill up the glasses with sprite and serve immediately. Enjoy! !